With all the action happening in NJ, FanDuel has contributed to the excitement. So in case you missed the action on November 5th, don’t worry we’ve got you covered right here! So without further delay, let’s get you all caught up to date. After all, this is a historic deal between FanDuel, NHL and the New Jersey Devils! As of earlier this month, the agreement between the trio officially went into effect. According to sources, FanDuel will now gain maximum exposure during NJ Devil home games at Prudential Center in Newark. 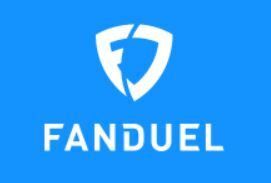 In fact, you can now see FanDuel’s in-ice logo at home games. Also, FanDuel now offers its customers special prizes including VIP tickets to the 2019 NHL All-Star Game. Not to mention, they’ll also be offering VIP tickets to the 2019 Winter Classic Game between the Bruins and Blackhawks. Furthermore, FanDuel now promotes match-ups such as single-game fantasy contests. And this is great exposer for the NHL and the NJ Devils alike. Additionally, FanDuel now has full access to NHL’s verified real-time game data feed. So all in all, this was a huge deal for FanDuel, and we have the official word on it. “Establishing a partnership with the NHL was the perfect step forward for us as FanDuel continues to grow. The League’s clear vision for this partnership marks an exciting time for both of us.” Matt King, CEO of FanDuel Group. “We’ll continue to lead at the forefront of all the action our hockey fans. Now this includes everyone from the arena to your living room. In fact, our new partnership with the NJ Devils allows us to be on the ice during the action so we can send in-game messages to the fans.” Kip Levin, COO of FanDuel Group. “Our approach to legalized sports betting is to remain progressive and hard at work. It’s our goal to directly work with the industry to find a newer innovative way to engage with fans. Also, we teamed up with FanDuel because they share our vision in using new exciting technology to create a more engaging experience with fans.” Gary Bettman, Commissioner of the NHL. Its exciting times in the world of sports betting these days. With that said, there will be many twists and turns to these stories as they continue to unfold. For example, both pro leagues and teams are jumping into the action of sports betting. Recently, the NHL and NBA entered into a partnership with MGM Resorts International. Plus, to show you how crazy things can get, the NJ Devils also have a connection with Caesars Entertainment. Not to mention, the Devils also have a deal with William Hill. So as this story continues to develop, we’ll keep you updated!